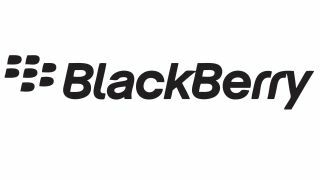 Canadian firm Research in Motion (RIM) is pretty bullish about the chances of its upcoming, and it hopes company-saving, operating system BlackBerry 10. RIM CEO Thorsten Heins took to the stage at the firm's Jam Americas event in San Jose California yesterday to declare that the delayed BB10 can topple Windows Phone 8 and claim third place in the mobile OS rankings. Heins said: "We have a clear shot at being the number three platform on the market. We're not just another open platform on the market, we are BlackBerry." During Heins' keynote presentation yesterday, the BlackBerry boss revealed more new features for the BB10 platform, with the first devices running the new software due to arrive in January 2013. Heins was quizzed on why RIM wasn't aiming for top spot in the mobile market, instead settling for third, to which he responded: "you climb a mountain step by step." However could it all be too late for RIM, as Windows Phone 8 will have a couple of months' head start with devices expected to land in early November, and customers may not want to wait until after Christmas before upgrading their phone.